You are here: Home / Android / What’s New in Android Version 4.4 KitKat? 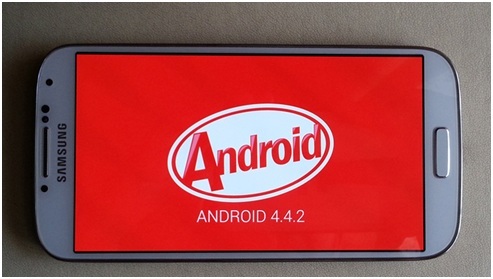 What’s New in Android Version 4.4 KitKat? Even though the latest version of Android, i.e., KitKat doesn’t consist of large number of feature changes, yet it has become one of the most popular Android updates till date. Google has introduced KitKat with an aim to get its latest version on all the Android devices across the market. The developers have taken a smart move in focusing on the lower-end handsets as many budget smartphone users felt that Android is fragmented and is not providing them with a consistent Android experiences. Google has reduced the scope of operating system in KitKat so that it will be able to support a large number of devices and help to close the gap between high-end and low-end smartphones. 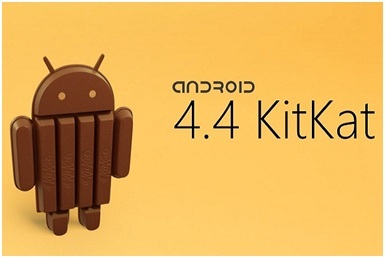 Following are some key characteristics of Android KitKat version 4.4. Android KitKat version has got a very lucid and user friendly design. The homescreen on this version looks quite different from previous versions as the icons as well as texts are slightly larger. The top status bar is translucent and blends perfectly with the wallpaper. Unlike previous versions, there are no more five default home screens visible and the number has been reduced to just two. Also, the user now has the option to rearrange and customize entire home screens exactly like in TouchWiz UI. Another section which has got a makeover is the app drawer. You won’t find any section for widgets on the top right corner of the screen, instead there will be a grid consisting of the apps installed in your device. As there are storage and processor limitations in the lower-end smartphones, a heavy Android version will be of no good to such devices. This is the reason why Google has reduced the footing of KitKat by around 16% so that it can even run on the devices having just 512 MB RAM. The developers are providing various smartphone manufactures an option to put KitKat on all their devices. Since long Google was planning to fold the stock text messaging into IM, voice and app hangouts and for this very reason that have released updated Hangout app with KitKat version. It allows the user to send text as well as picture messages. Using hangouts is much more fun and convenient than the traditional messaging app. Android KitKat version 4.4 users will be able to print documents and photos with much ease from their smartphones and tablets. With just one click, you can print documents with any printer which is attached to the Google Cloud Print service. An exhaustive list of HP ePrint and other printers are compatible with this feature. Author Bio: Anzer Khan is a professional article writer and specializes in writing on operating system and mobile technology. He rates Andorid KitKat version very high and believes this version will be nothing less than a revolution for future versions. Look out for some of the best Android and Samsung contracts deals online.